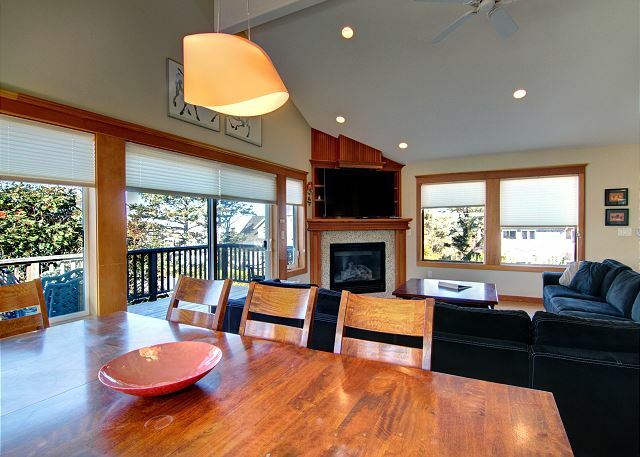 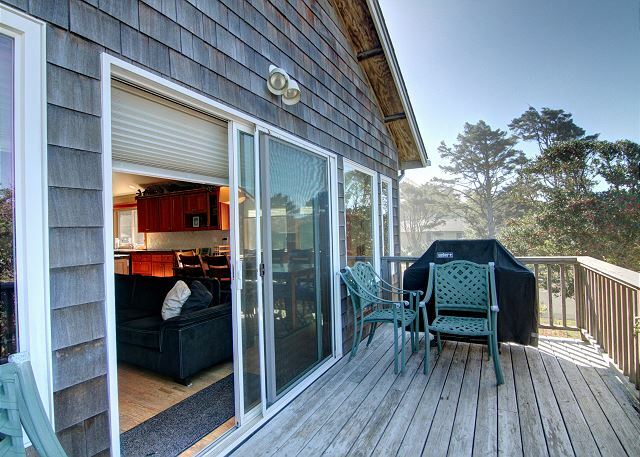 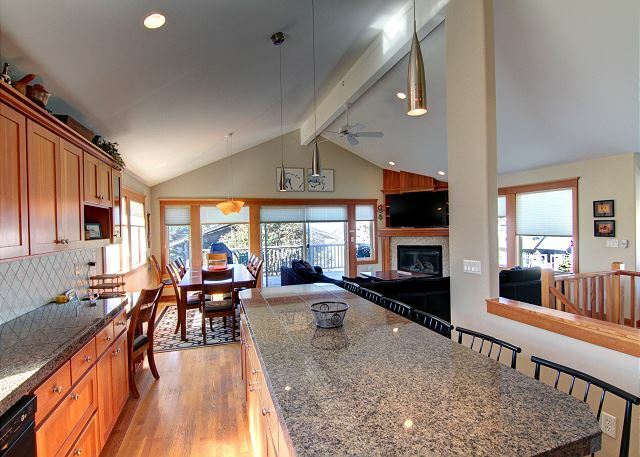 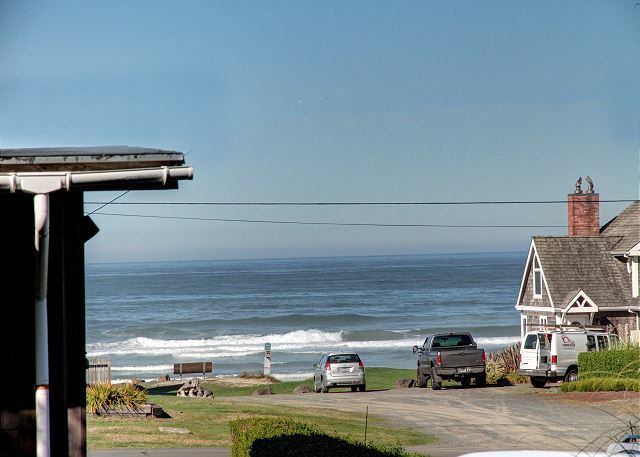 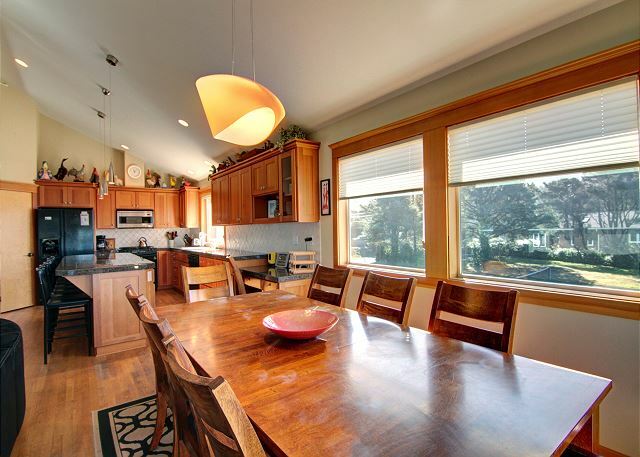 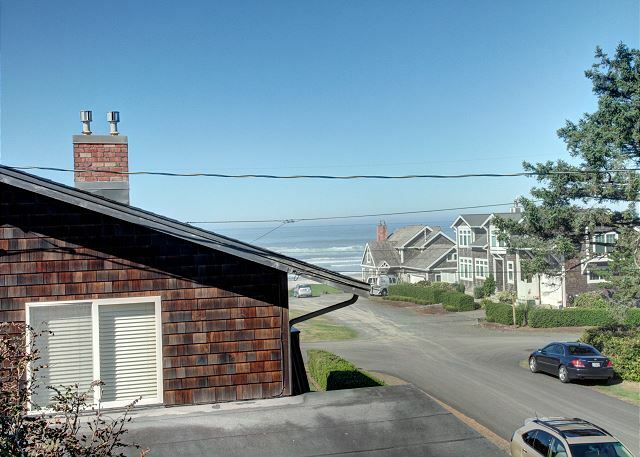 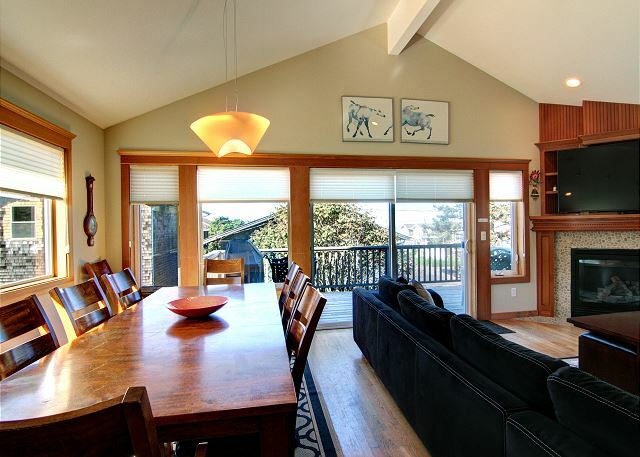 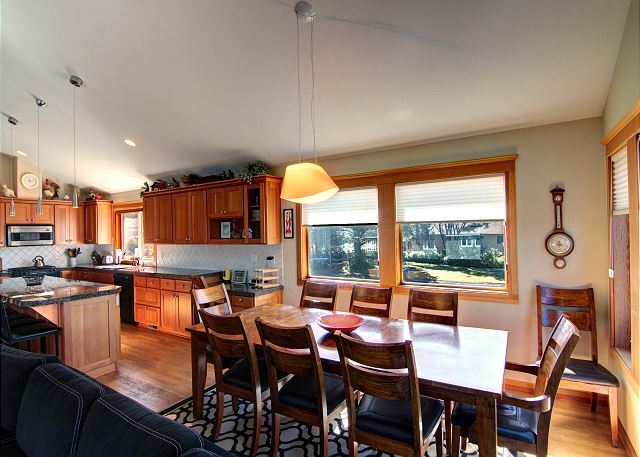 Oceanhouse has beautiful hardwood floors and ocean views from the kitchen, dining room, and great room. 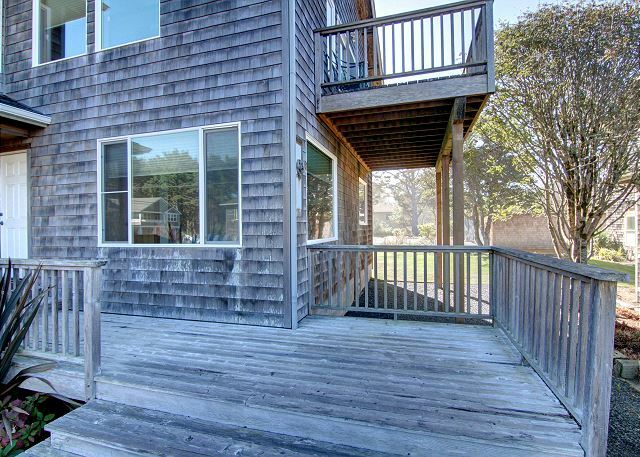 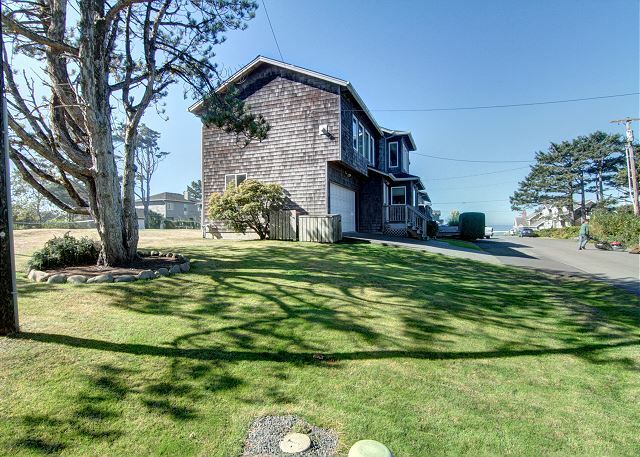 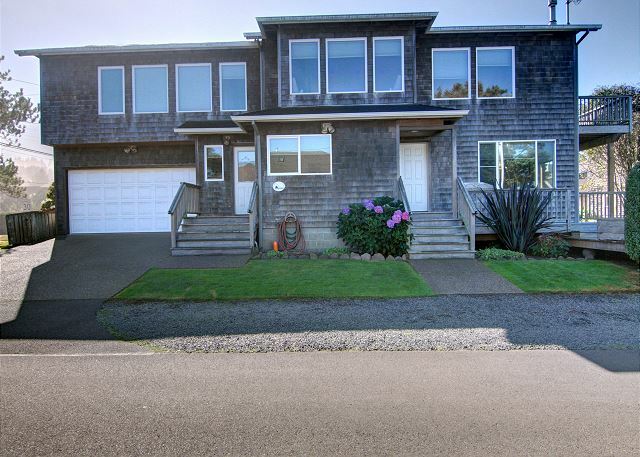 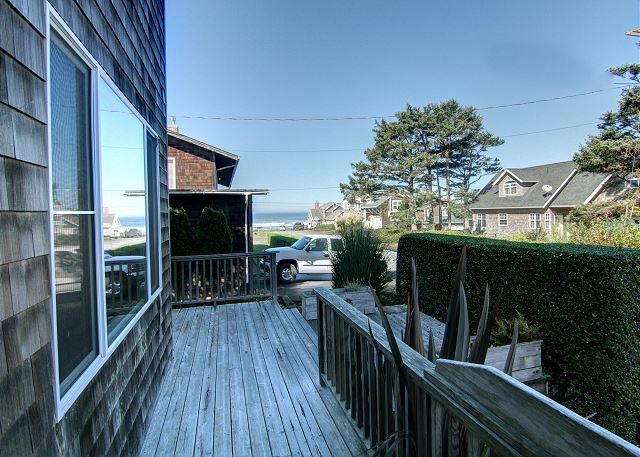 The first level has a deck looking at the ocean, plus 3 bedrooms, and a den with a hide-a-bed, television and DVD player. 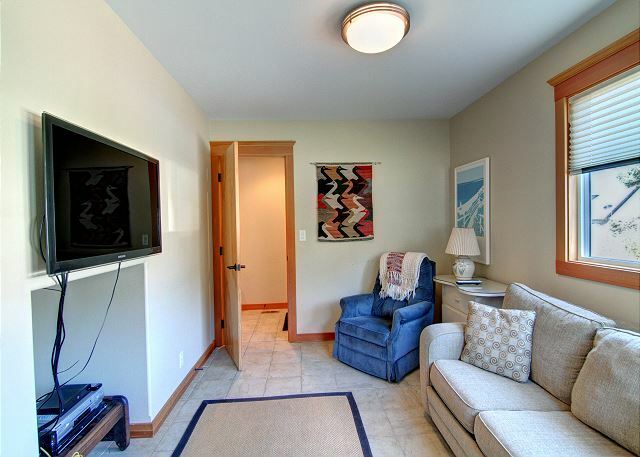 Also on this floor there is a full bathroom with shower and the laundry room complete with full size washer/dryer. 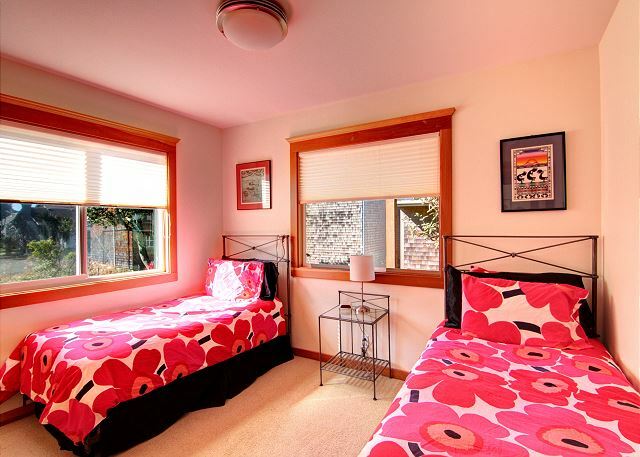 One bedroom has a king, one has 2 twins, and the third has a king bed. 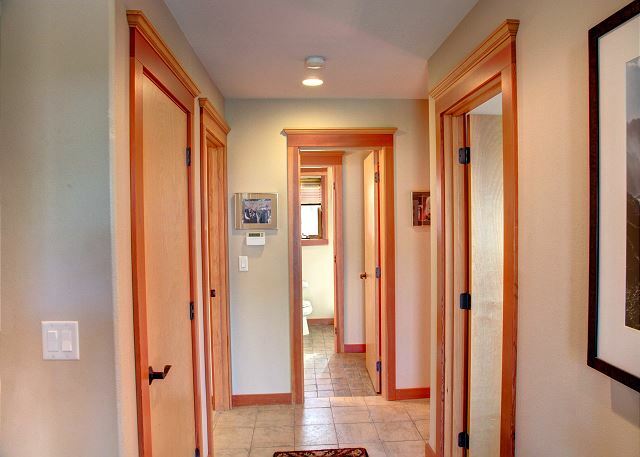 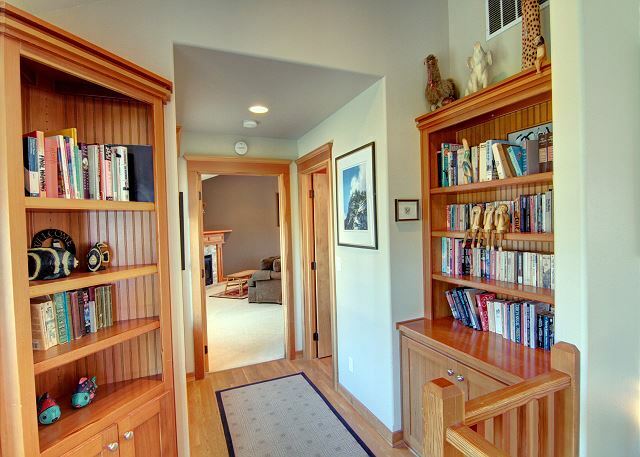 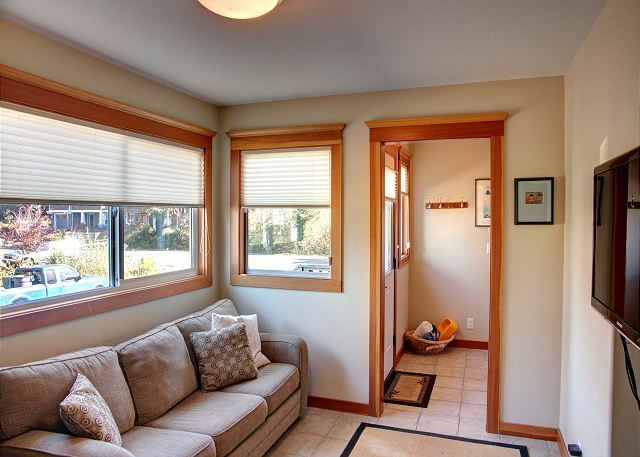 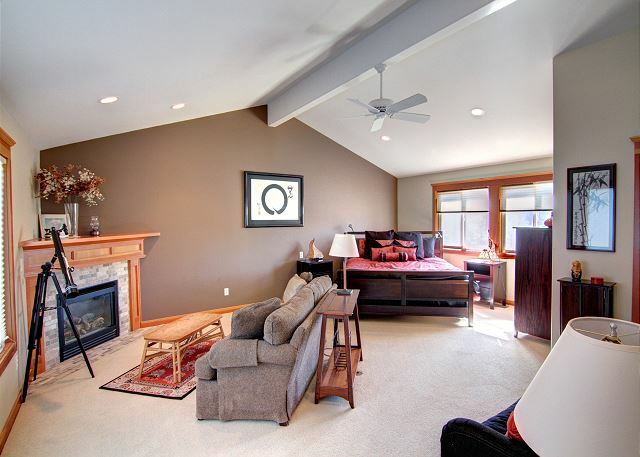 The second level features the main living space and a master bedroom plus half bath in the hall. 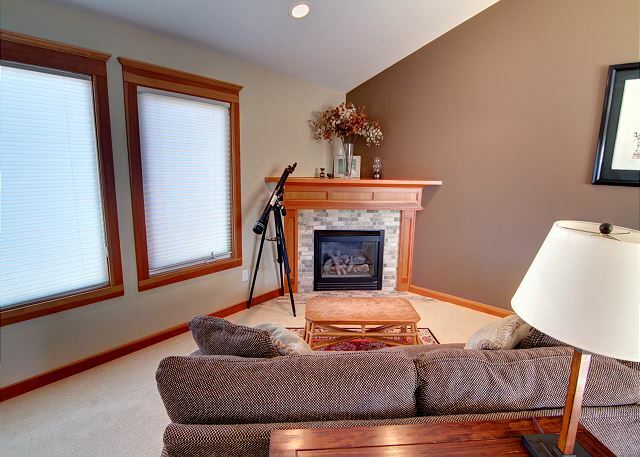 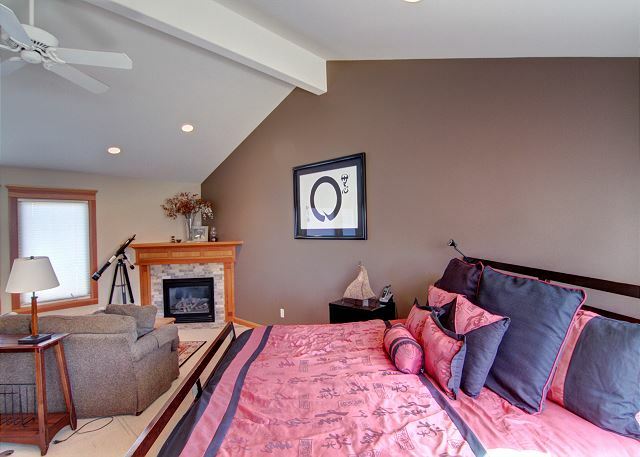 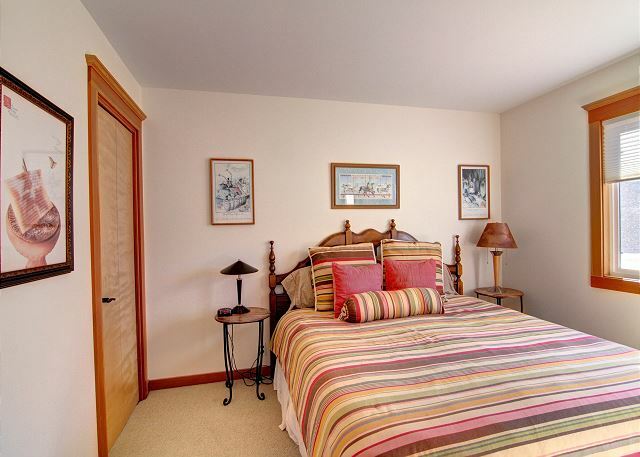 The grand master bedroom has a king size bed, gas fireplace, sitting area, T.V. 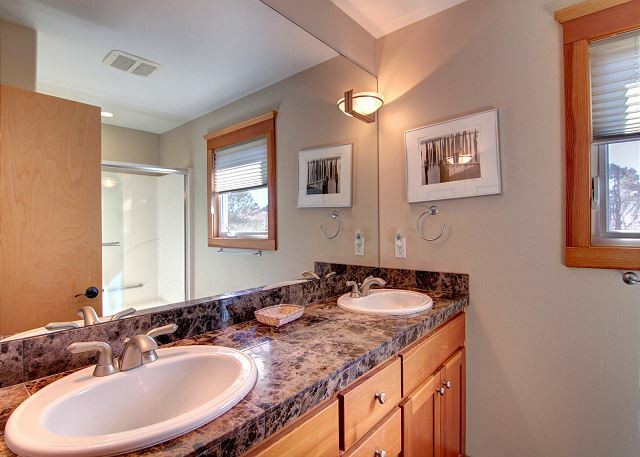 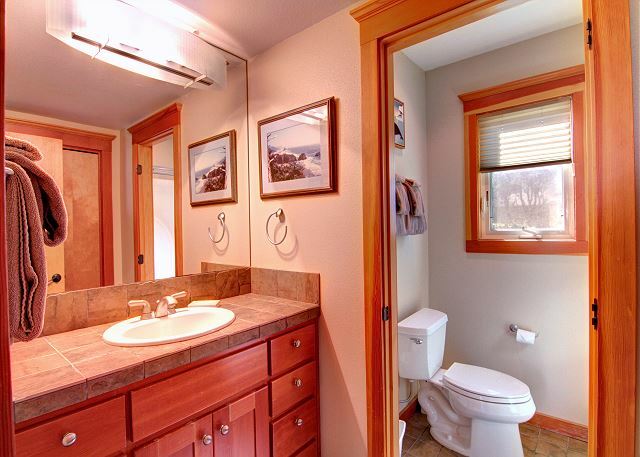 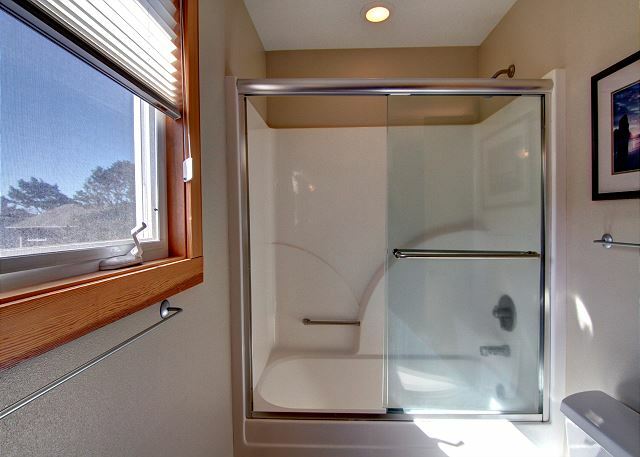 and private bathroom with shower. 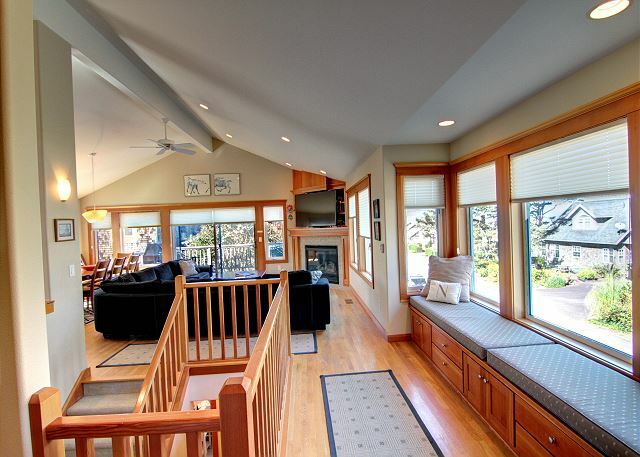 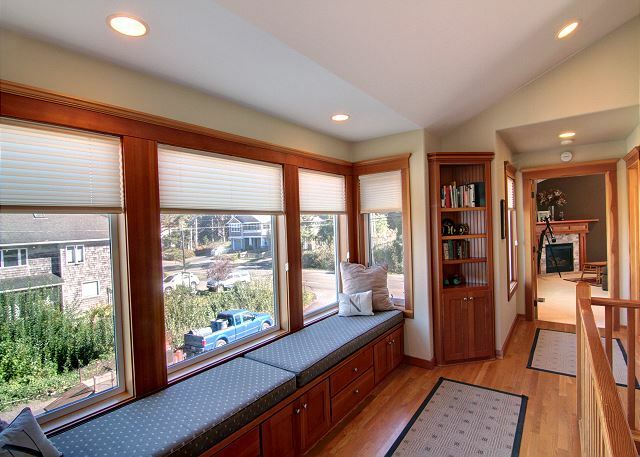 The great room has an alluring window seat with views of the ocean. 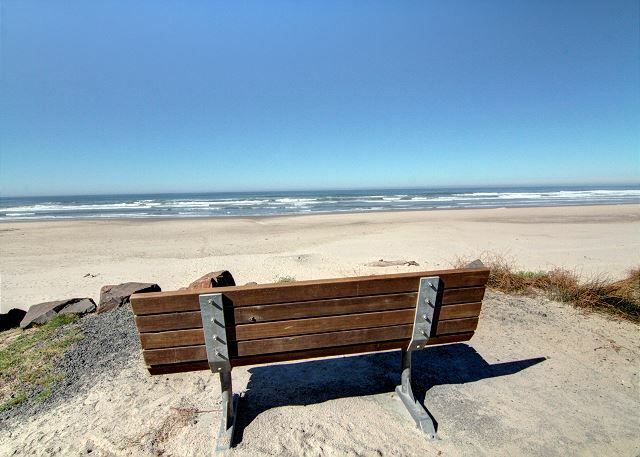 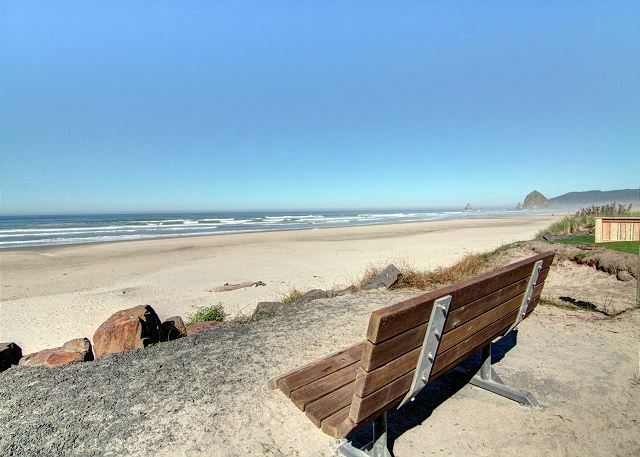 This is a great place to curl up with a good book or gaze at the amazing ocean. 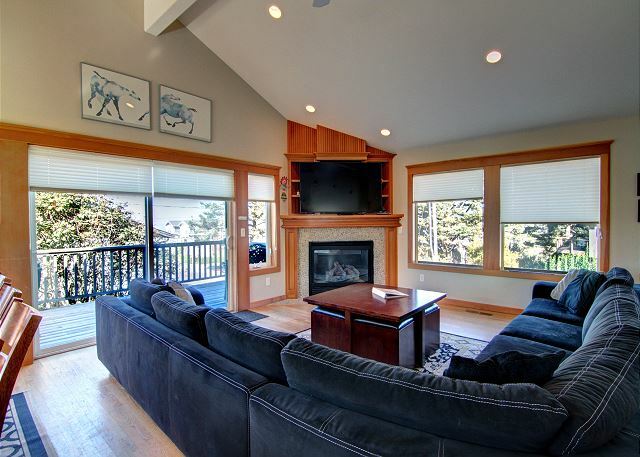 The entertainment area has inviting over-stuffed furniture - you will want to relax here! 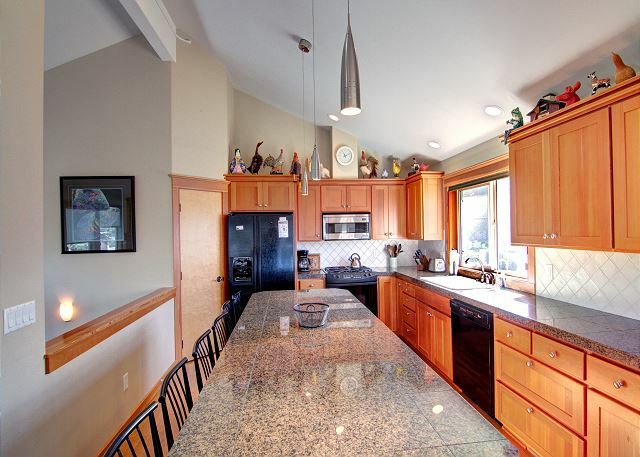 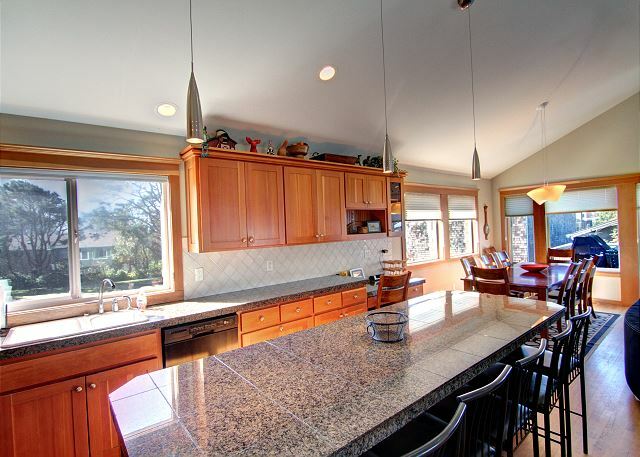 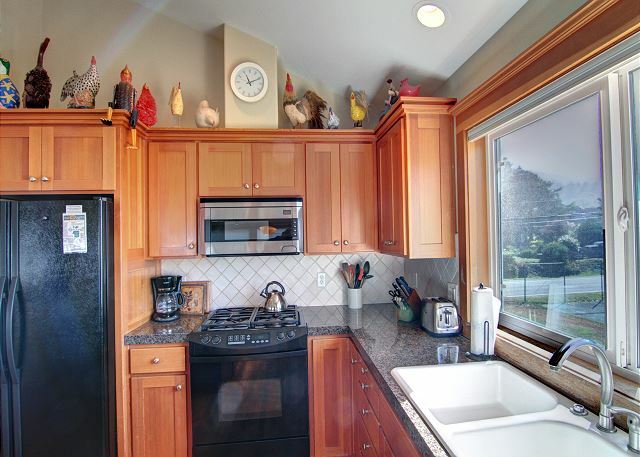 The kitchen features a colossal island and functions well for multiple chefs. 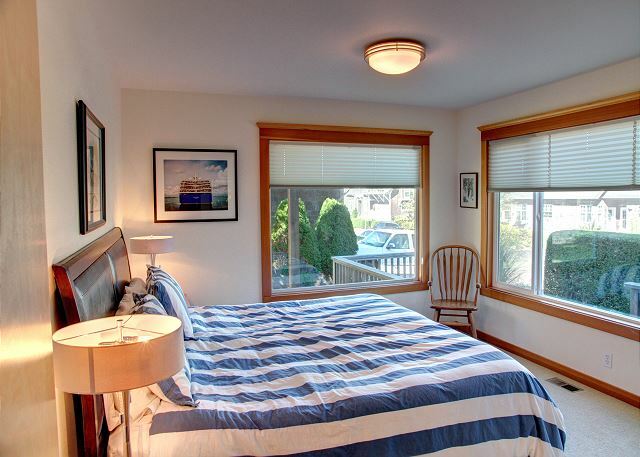 Sleeps 10 maximum, pets welcome, no smoking, parking for 4 cars. 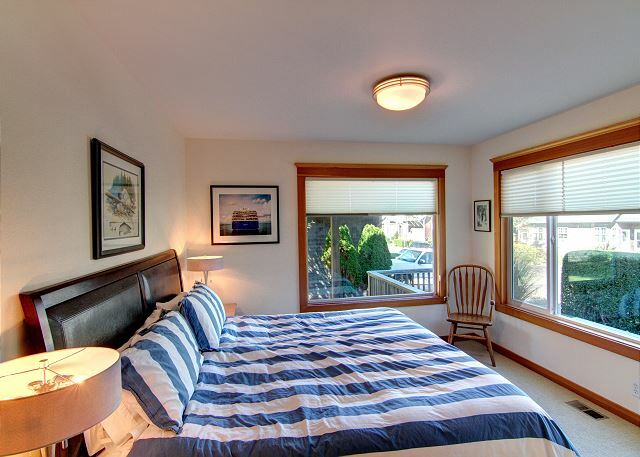 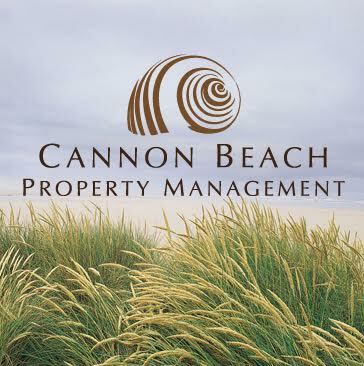 7 night minimum stay required during summer months.